Real estate should not be a matter of impulse buying. Often people make the mistake of going overboard on the cost of the house, thinking that they can make up for the shortfall in funds sometime in the future. Get your finances in line first. Talk to your financial advisor and also work with your bank on the loan amount before you finalize your purchase. 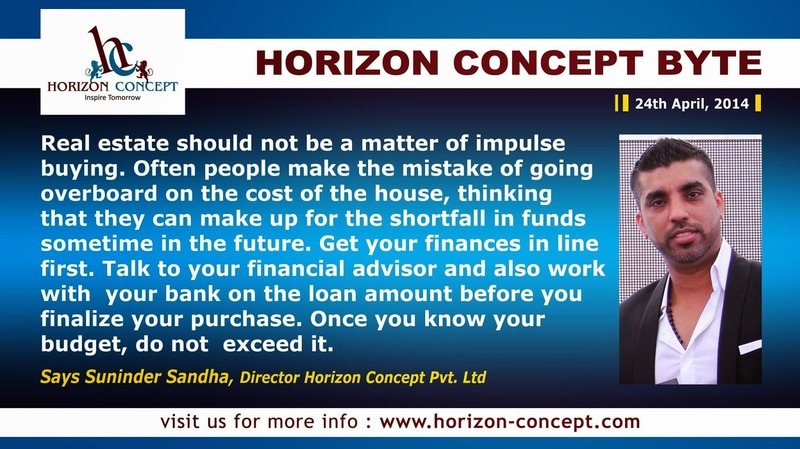 Once you know your budget, do not exceed it Suninder Sandha, Director Horizon Concept Pvt. Ltd.